A Jan. 25, 2016 Wall Street Journal discussed, “How to Keep a Business Alive After a Divorce.” The Journal says that there are 3.7 million husband-wife owned business with a good percentage of them getting a divorce every year. The article centers on “his-hers” strategies including various means of solving emotional and business issues. It ignored a critical issue: how to separate the ownership of a husband-wife owned business. First, decide if you really want to split ownership. If you both work in the business, you may be able to continue working together after the divorce. I know of four couples who own very successful companies with both spouses – after the divorce – having separate but critical roles. In one case, the judge ordered the wife to work in the business for a year after the divorce. Years later, they are both in the company, which is more successful because of it. The departing spouse could consider continuing ownership. It may be a very good investment! I suggest that you consider legal documents around issues like the roles of each spouse, payout of earnings, percentage ownership, company-owned life insurance on the spouses, transparency of books and records and a host of related matters. This is rare but can work. Third, if ownership must be split, hire a certified valuation analyst to appraise the business. You have three choices for a valuation opinion: an oral report on value, which cannot be used in court, a written report showing the “calculation of value” which is useful in negotiations but cannot be used in court and an independent certified, written report showing a “conclusion of value” which can be used in court. Last, stay flexible on possible outcomes. Give yourself time to work through a solution (that you may otherwise immediately reject), which may prove to be very useful long-term. 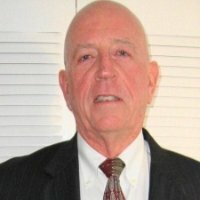 Harry Haigley is a certified valuation analyst with the Business Value Center. You can visit their website at www.businessvaluecenter.com or call him directly at (727) 827-8000.